It’s that time of year! 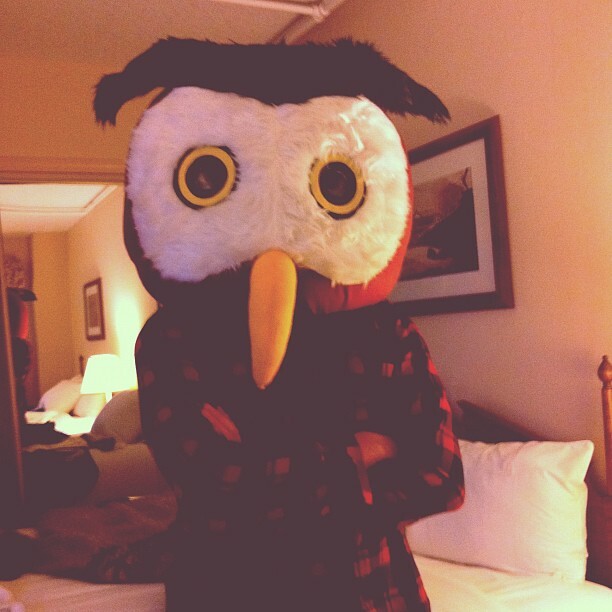 Once again, HootSuite will be sending a parliament of Owls to SXSWi. With their talons full of swag and smiles on their faces, you can expect a frenzy of fun wherever they touch down at this mega-event. To get you caught up, we’ve put together a preview of what our Owls will be up to in Austin, including who’s rolling with Owly aboard the HootBus. Yup, the HootBus. Owly will be taking daily strolls throughout the event. Find our big bird perched somewhere and you might end up with a handful of HootSwag. Tweet a pic of yourself and your HootSwag tagged with #HootSX for a chance to win a free HootSuite Pro account and be named the Owly Picture of the Day. With all the Owls coming out, you’re sure to find us somewhere and everywhere. The HootSuite team will be hosting daily HootUps, workshops, and lectures. Be sure to check out Dave Olson on March 10, when he’ll be leading a Core Conversation titled Crowd Sourcing Community Projects like Tom Sawyer. 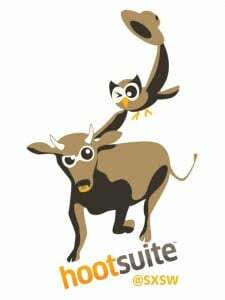 HootSuite’s SXSW squad is crafted from a variety of backgrounds including: Enterprise Sales, Partners, Marketing and HootSuite University. Want to chat up an owl? Don’t be afraid to reach out to them on Twitter first. Rest assured, our beaks are for hooting not biting. 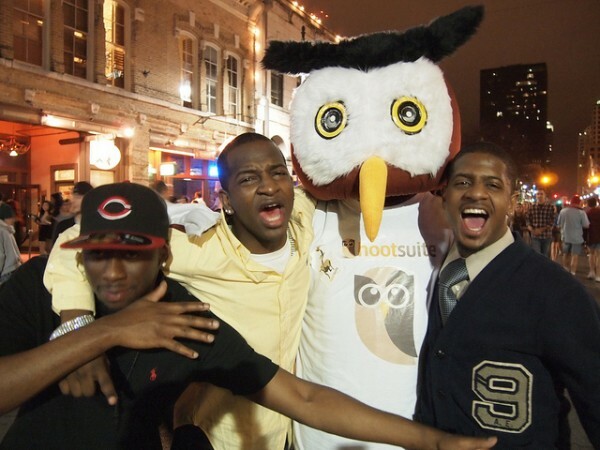 Get to know the Owls below, and by following the HootSuite #SXSW 20102 Twitter List. If you can find HootSuite CEO, Ryan Holmes… you can chat him up about start-ups, yoga, and car battery powered computers. DaveO is a master storyteller and community wrangler. Buy him a craft beer (a good one) and ask him about his Core Conversation: Crowd Sourcing Community Projects like Tom Sawyer. Greg is described as a “magnet” for fun and toils as VP Business Development. Pick his brain over a bourbon about big picture integrations and basketball. On top of working Strategic Accounts, Katie Shindler enjoys sunshine and smiles. Did you know she’s a horse whisperer? In addition to tending to Strategic Accounts, Julien is an expert at athlete training, off-season hockey development camps, and chocolate chip cookies. After buying the charming KB a Dark and Stormy, ask how her background in Art History led her to direct HootSuite University. AJB is a fantastic snowboarder, bagpipe enthusiast and also heads up HootSuite’s Enterprise Marketing. Simon Stanlake is our CTO and resident cycling nut. Seriously, he’s always on his bike unless he’s singing karaoke or curling (like ice bowling). Mark’s the man for App Directory integrations. He’s also crafty on a skateboard. Ask him to choose between Johnny Cash and Neil Young and watch him get stymied! Agencies, meet Matt, the man behind our Partner Programs. He’s looking to chat with Agency folks who are as pumped about social as HootSuite is. He also likes cats… but who doesn’t? Steve is a big fan of traveling, social media and scuba diving. He’s also our CRO. Last year, the HootSuite team had a blast at the festival gathering enough attention to be named a top five influential brand by the O’Reilly Radar. Our Owls appeared at parties, panels, and even on front pages. 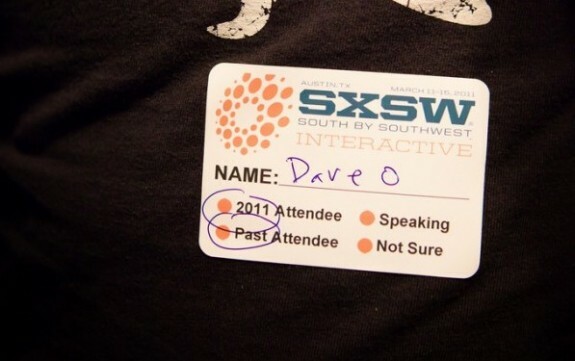 Check out #HootSuite Brings The Owl to #SXSW 2011 ~ News Roundup, for a full recap of last year’s HootSuite’s SXSW adventures. Our Owls are patiently waiting in anticipation for all the upcoming fun and festivities. 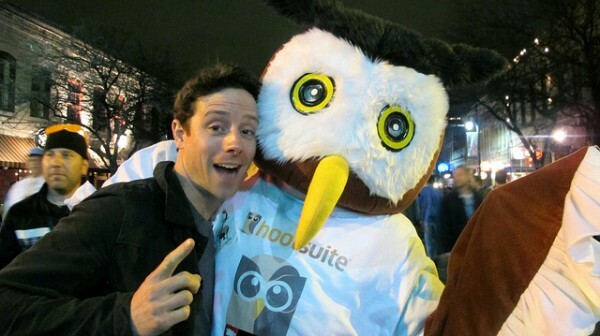 Remember, follow #HootSX to stay updated on the latest HootSuite SXSW news. Don’t be afraid to say hello when you see one of our Owls or Owly. We’re looking forward to meeting all the friendly folks attending in Austin.